Many years ago, God gave Noah a promise and a sign that he would never flood the Earth again. 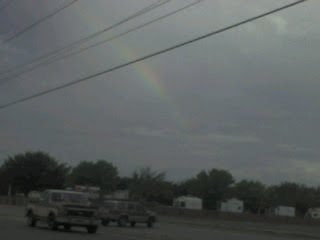 This morning I saw a rainbow and was reminded that God will continue to protect me. Let me share this reminder with you.